Three minutes on the clock. I look at my dive computer as I float above the mix of colors along the bottom of the ocean, dabbed here and there like a painter’s palette—here, a giant brain coral, there a waving purple sea fan. I wait patiently with my dive buddy, breathing deep. Suddenly, a click-click-click fills my ears, and I see my buddy’s eyes widen, a burst of bubbles erupting from his regulator—and he’s off. It’s not until I’m engulfed by a shadow that I realize a pod of dolphins has come to play with us. This is a completely normal dive day in Belize. 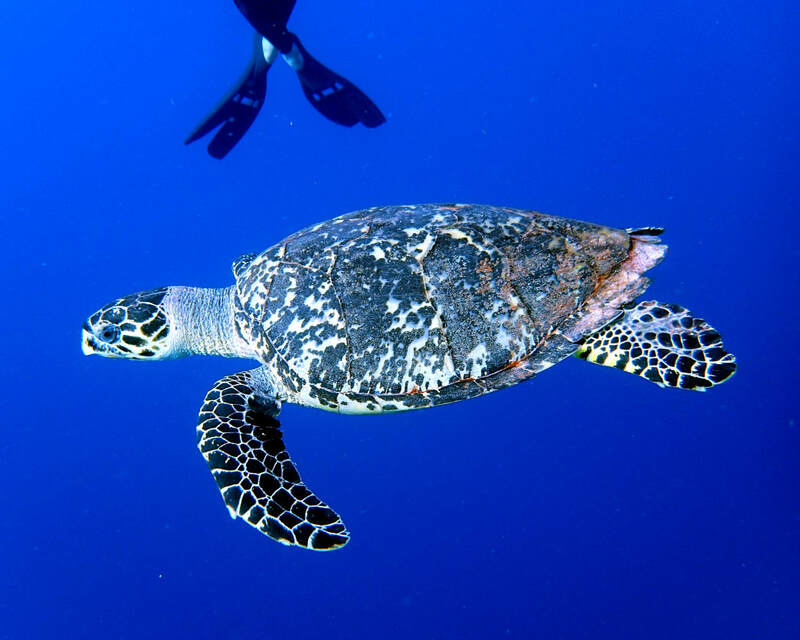 This central American paradise, which is about the size of New Hampshire at just under 9,000 square miles, is one of the Caribbean’s best-kept secrets when it comes to marine life and natural beauty. 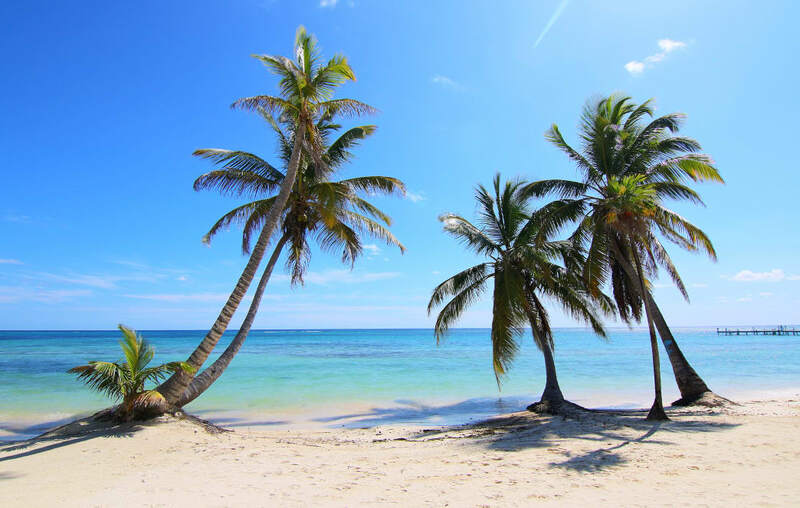 Belize boasts some of the planet’s largest coral reefs, protected marine reserves, and offshore atolls—and some of its most untouched. The Belize Barrier Reef, the longest in the Western Hemisphere, and Glover’s Reef, a designated UNESCO World Heritage Site, beckon with world-class diving—no long-haul trip to Australia necessary. But would-be visitors wanting a fish-eye view of the country shouldn’t waste time getting here. One of the most pressing reasons to visit Belize now is that, as with other coastal spots around the world, its reefs won’t last forever. 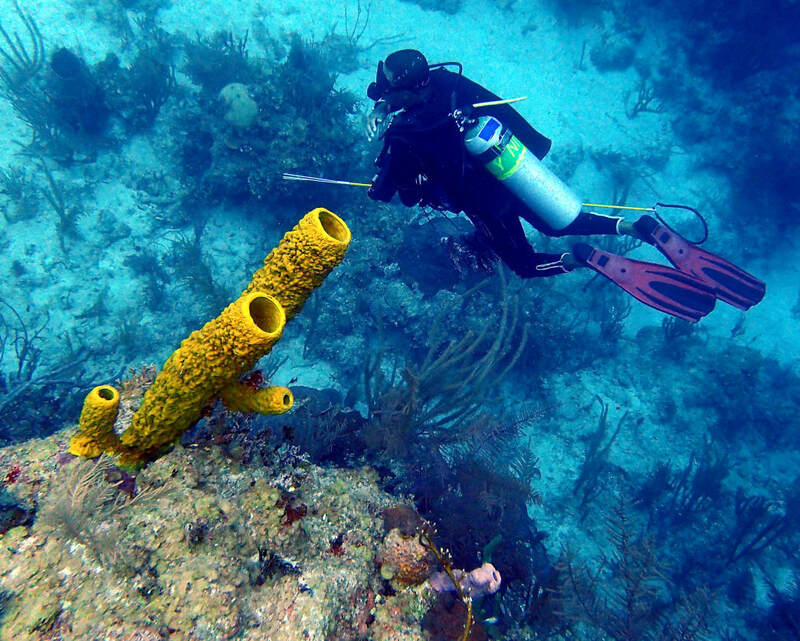 Climate change and invasive species, as well as natural disasters like Hurricanes Irma and Maria (though Central America was largely spared during the devastating 2017 season), have all taken their toll on the country’s dive sites, putting them in danger. Here, a look at the below-the-sea adventure bounty in Belize, and why you should see it now. In Belize, you’re all but guaranteed to see an abundance of marine life. A must-do is the Blue Hole, a gorgeous submarine sinkhole and the country’s most famous dive spot, but once it’s checked off, there’s plenty more to explore. Indeed, the wildlife is just one reason Belize has such bucket-list diving—most sites also boast crazy swim-throughs and otherworldly rock formations. Castillo loves Long Caye Wall at Glover’s Reef Atoll for its "beautiful staghorn coral swim-throughs combined with sandy slopes." He also recommends Trick Ridge Wall in the reef’s South Water Caye Marine Reserve, which boasts an inner and outer wall. As sublime as the underwater landscapes are, they face some serious environmental obstacles. 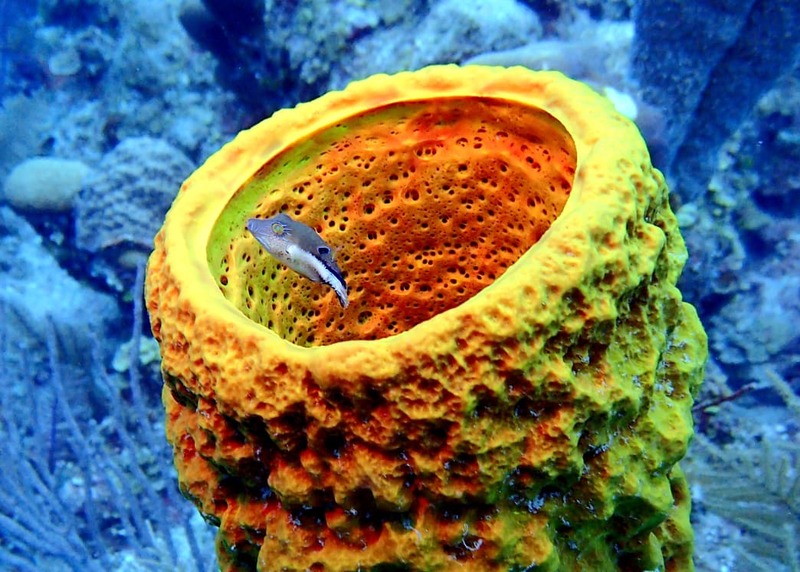 Coral reefs operate in a symbiotic relationship between a hard, calcium skeleton created by the coral and the vibrant plant life produced by the zooxanthellae, a type of algae living inside the coral’s skeleton. As water temperatures rise, the coral becomes stressed, expelling that algae and turning completely white. The Great Barrier Reef has already been significantly damaged by such phenomena. Is Belize’s barrier reef next? On nearly every dive, divemasters look out for the pesky fish. Meanwhile, locals have worked to create demand for the fish, both as a food source—it’s quite tasty in an empanada—and as an adventure, giving tourists the opportunity to try their hand at spearfish hunting. But these kind of grassroots efforts haven’t done much to stop the aggressive spread of lionfish around the Caribbean. During each of my 10 dives in Belize, I saw at least one lionfish. 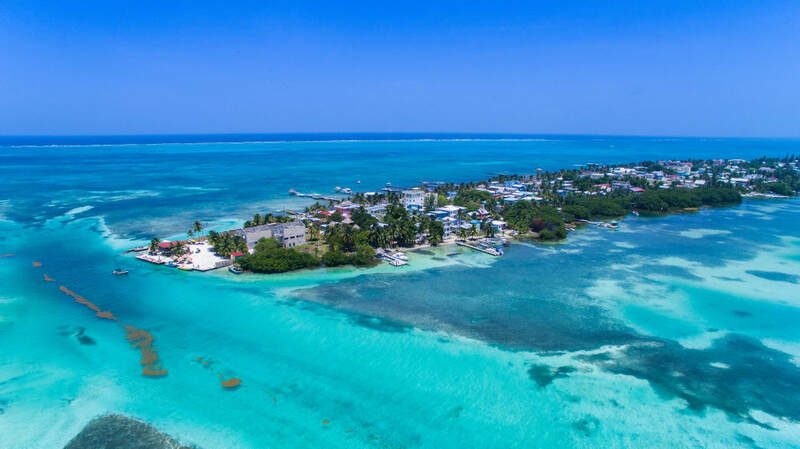 How Belize and the surrounding regions respond to such environmental challenges as the lionfish and coral reef bleaching remains to be seen. For now, though, larger-than-life underwater adventures await in this tiny country. Written by Kayla Lewkowicz for Matcha.